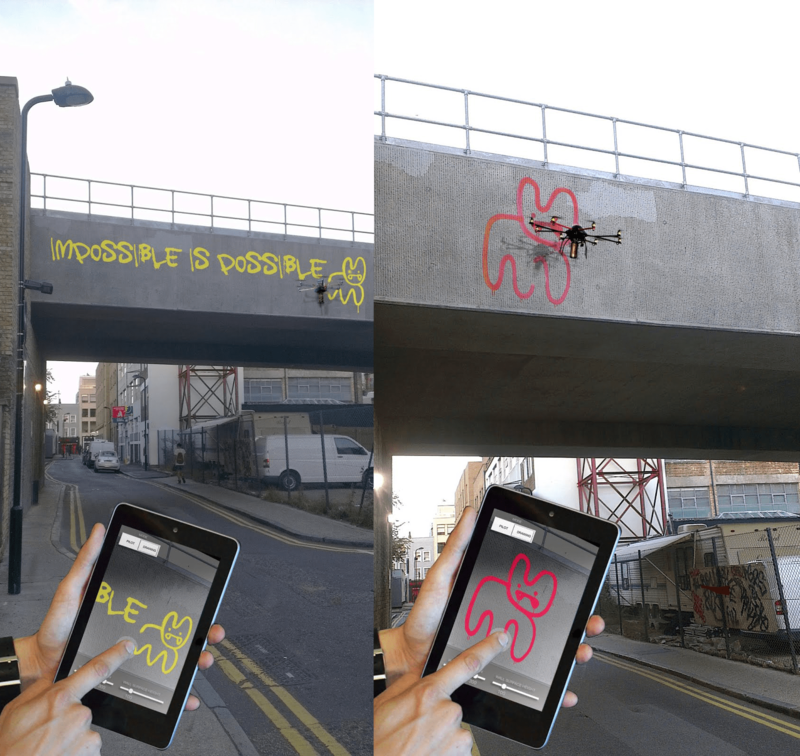 In 2010 London street artist Pure Evil suggested me to create a graffiti drone. At the time I had not enough time and ressources to start such an ambitious project. 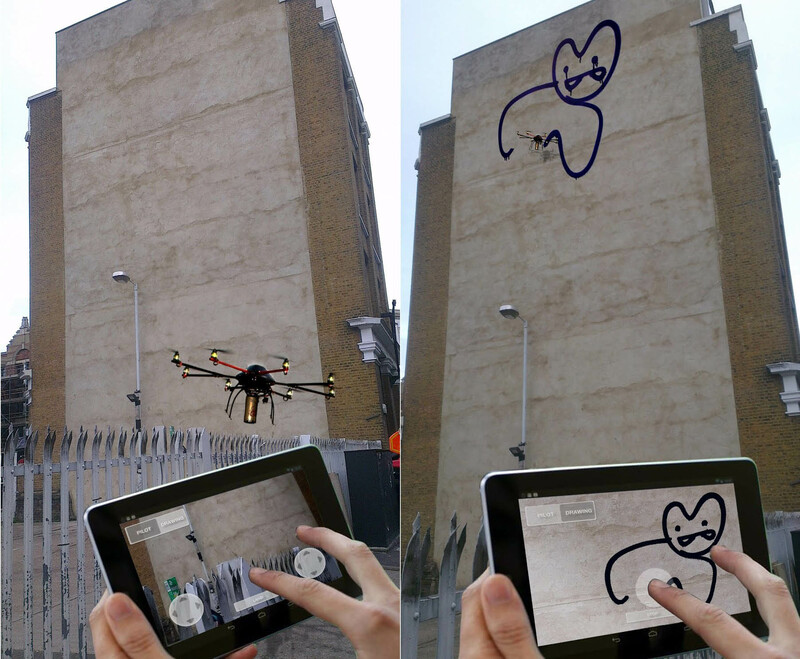 In 2012 I pitched the concept to the production agency UNIT9, they did an attempt to create the project with their R&D team.